Developing a website for your business is quite easy. 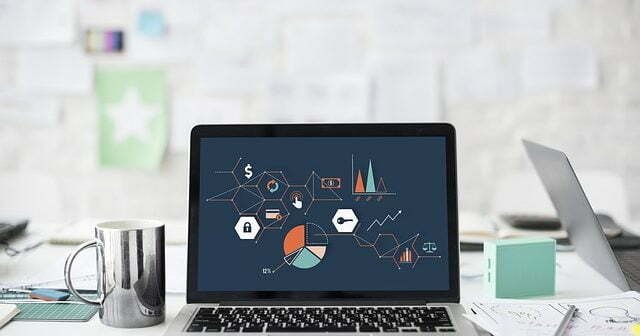 You can use the services of a web developer to do it for you; however, if you are on a tight budget, you can develop your website on your own as a DIY project with the plethora of tools available online. In this article, we will discuss some of the steps that can help you create a website for your business. The first thing you require when developing a website for your business is a domain name or website address, and most often, people have the same domain name as the name of their business. 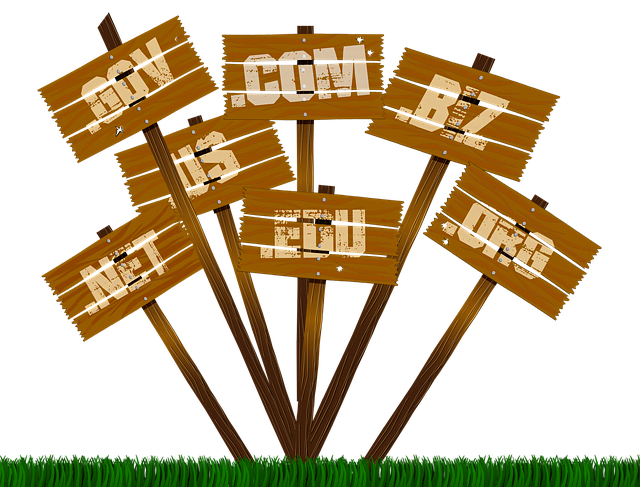 You can have any domain name for your business, as long as it is not taken already. Choose a name that represents your business the best. You can get your domain name for free from sites such as Wix, Weebly, WordPress.com, or Squarespace; however, these sites give you a sub-domain name (i.e. abc.wordpress.com) or you can buy a proper domain name from other websites. There are usually 2 costs associated with getting a domain name for your business. The cost to buy the domain name. The cost to keep the domain registered every year. And typically, the cost to buy a domain name is around $10-$15 and you would have to spend around the same amount each year to retain the registration of the domain name. You can check if the domain name you want for your business is available for purchase on websites like Whois.com, GoDaddy, NameCheap, Register.com, etc. 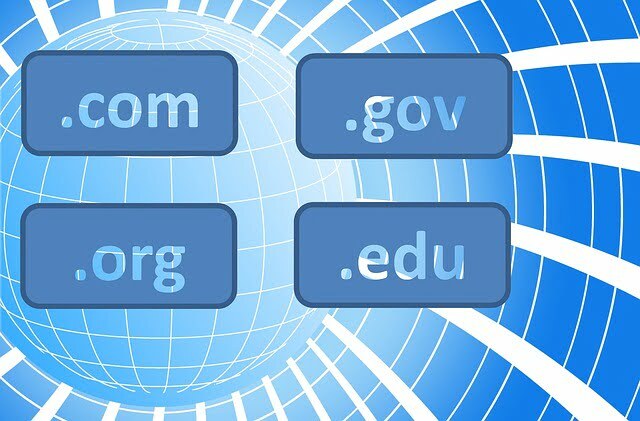 and if the name is available, you can also register your domain name on these sites. If somebody else owns the domain name, then you may have to choose another name or you can also contact the owner of the domain name to try and buy it from them. Selecting the domain name for your business is extremely important and needs due consideration as a wrong choice of name can be disastrous for your business. Here are a few things to keep in mind while selecting a domain name for your business. Most often .com is the most preferred TLD, although some of the other popular TLDs are .org and .net. Opting for the classic .com is the best way to go, as people are most familiar and comfortable with .com domains and may forget the name of your website if the extension is uncommon. If your preferred domain name with a .com TLD is taken, then you should look for a new name or you could see if the owner of the domain name is willing to sell it to you. If your website is for a local audience, then you could consider a local TLD, for instance, if it is targeted to the United Kingdom, then you could have a .co.uk address. Today, there are many TLD options available that were unheard of in the past and you can opt for unique extensions such as .store, .shop, .blog, .xyz. You can also experiment with TLDs such as .cc, .it, .is, .ly, etc. and use it creatively. For instance, the Microsoft Translator’s domain name is “translate.it”. However, not too many domain registrars offer these TLDs, but you can get the largest catalog of these TLDs on GoDaddy. Branding is very important and is vital to the success of your business in the long term. So here are a few factors to consider that will determine if your domain name brandable. Must be unique and distinctive. Need not necessarily have any meaning such as YouTube, Google, etc. Should be easy to remember. Avoid complex combinations of vowels or something that is too wordy. Should be easy to pronounce. Must sound credible and trustworthy. The domain name should allow you to build brand value over time. The name should be nice and fun, easy to remember and have a nice sound to it. Short: It should have 15 characters or less without the TLD. Simple: It should be simple without any complicated words, punctuation, underscores or hyphens. Just Have Words: Unless it is absolutely necessary, avoid using numbers in the domain name. Predictable: Avoid unusual spellings as this will cause people to misspell it most of the time. If you’re not really able to arrive at a good domain name for your business, you could look for options by making use of Thesaurus.com that will give you plenty of name ideas or you could resort to using a domain name generator to come up with some cool and catchy domain names. Domain name generators are very helpful and extremely easy to use too. All you need to do is enter a keyword and you will get hundreds of options for valid domain names that are available to be registered immediately. Some popular domain name generators are Nameboy, LeanDomainSearch and Shopify’s business name generator. Once the name of your website has been decided and you have gone ahead and registered the domain name, the next step is hosting your website. To host your website, you will need to buy server space. Today, there are several options available for hosting your website, but it is better to look for a web host that supports WordPress and also has all the functionalities required for your particular business. To host your business website, you can opt for either Siteground or Bluehost, both trusted hosts recommended by WordPress themselves. 1-click installation for a new site setup. Automated free daily backups of email, SSL and CDN. 24×7 customer support via live chat or phone without you having to wait a lot. Customer support executives that specialize in WordPress troubleshooting. It is perfect for email hosting for businesses offering 99.9% uptime. Recommended as the best WordPress host by WordPress. Have servers on 3 continents. Intuitive and user-friendly Softaculous and cPanel interfaces. Includes an extensive content delivery network (CDN). Joomla and WordPress content management systems are available. Includes SuperCacher, a Siteground in-house caching service. Offers customer support via phone, email and live chat. Live chat support is extremely fast and very responsive. Apart from this, the 3 plans offer a whole load of features. You get a free domain with their hosting plans. A free site builder is available to customers. You can install WordPress with just a single click. Supports unlimited site traffic and has an in-house customer support team to troubleshoot any issues you might face. Leading uptime and hardware providers in the industry. Offers its customers an anytime, pro-rated money-back guarantee. Have their proprietary resource protection that protects shared hosting users from other server users in the case of any abusive behavior. Offers customer support via email, chat and phone. Offers VPS and dedicated hosting services. You can install applications conveniently using SimpleScripts. An important aspect of website creation is to choose the platform on which you will build your website. A content management system or CMS is a platform that enables you to build your website and manage your online content. Today, WordPress is an extremely popular and user-friendly CMS platform that has made website creation accessible and very easy for all, especially if you are a beginner. Although there are many website builders, WordPress is the most preferred due to several benefits it offers. WordPress is extremely easy to use, very intuitive and if you are familiar with regular Microsoft programs, then you will not find it difficult to master WordPress. The platform also gives you customization options by making use of plugins and you can make your website function exactly as per your requirements. WordPress is a very flexible CMS platform and is suitable for anyone from creative artists and bloggers to small business owners. WordPress can handle any kind of website, be it a very small and simple site for your business or a large e-commerce website selling multiple products. 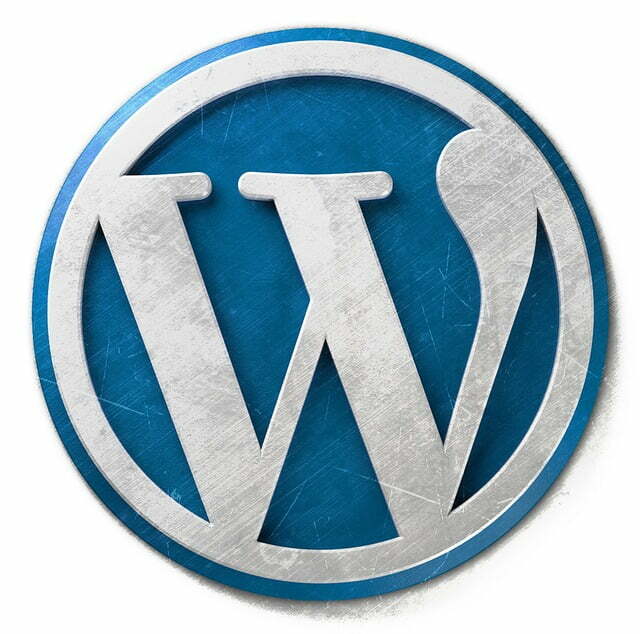 WordPress is one of the most trusted platforms for some of the most popular sites across the globe. It is very powerful and can support almost any type of website. Today, with the “smart” revolution taking over the world, most people view websites and do most of their transactions via their smartphones, tablets, etc. So, any website must be responsive and adaptable to the new-age digital requirements. WordPress supports themes that are mobile and smart-device friendly. And, the best part is that for all the features and versatility that WordPress offers, it is a free platform. All you need to do is buy a domain and host it and you can have things up and running in a jiffy. There are two ways in which you can install WordPress. You can do it using the 1-click installation or install it manually. First, login to your hosting site account. In the control panel, look for the WordPress icon. Next, select the domain where the website needs to be installed. Then click on the “Install Now” button and WordPress should then be installed on your server. In case the hosting company does not provide a 1-click WordPress installation option, then you can install the platform manually. You can check for the instructions of manual installation of WordPress here. When you have installed WordPress successfully on your domain, you get a clean and basic website theme that is automatically installed by WordPress. 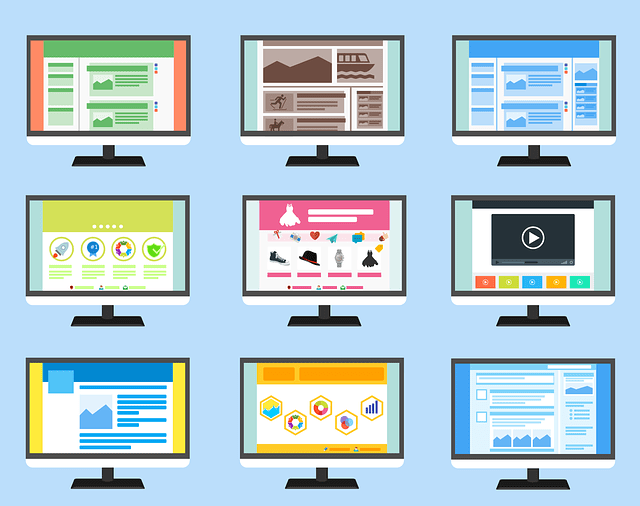 However, you would like your website to have a unique and distinct look, which is why you require a customized website theme or template. The theme essentially is the way your website looks on the front end. It is what a person sees when they visit and browse your website. Selecting the right theme is extremely important for your business website to be successful. The theme not only makes the website attractive but is also responsible for the site’s functionality. The theme of the website displays the data and the content that is stored by WordPress. The WordPress theme decides on how the content is displayed on the website. Choose a theme layout that is flexible and lets you create a website that is distinct and unique. The theme of your website should be functional and reflect your business or niche. The layout should be flexible so that you can change it as per your requirement and the layout must also be compatible with the suitable plugins. Choose a theme whose color and fonts match the branding of your business to create a uniform look and feel across all forms of communication. Choose a theme that is responsive, i.e. it must look good on your smartphone, tablet and other devices of different screen sizes. There are many sources on the internet where you can choose the theme for your business website. The Theme Directory of WordPress.org has thousands of free themes that you can choose from or you have the option of buying a premium theme from WordPress or sites like ThemeForest. If you’re looking for a unique and professional theme for your business website, you could buy it from ThemeForest which has a really huge collection of themes that you can choose from. Launched in 2008, ThemeForest is one of the most popular marketplaces for WordPress themes. You can choose from over 10,000 themes at a cost range of around $15-$199. When you have decided on the theme that you’re going to use for your business website, installing the theme is an extremely simple process, or you can also refer to the many tutorials available online that can help you setup your website theme very quickly. Usually, a website is never used in its basic version and is usually customized according to the requirements of your business, to match the look and feel of your brand. You can also add special features and functions to improve the user experience and convert the traffic on the website into sales and revenue. Plugins are basically extensions that can help to expand the capabilities of WordPress and helps to add functions and features which do not come inbuilt in your website. They are shortcuts that let your site do whatever you require it to do without you having to actually build the particular feature from scratch. Plugins can be important to the way your WordPress business website functions and have many applications such as submitting forms, adding photo galleries, optimizing the website, creating a store online, etc. Depending on the functionality you require from your business website, you can install the appropriate plugins. WordPress contains over 54,000 plugins and you can choose from a wide range of free plugins from the WordPress Plugin Directory or you can also opt for premium WordPress plugins that can benefit your business. You can also look for plugins from other sites such as Kiwi, OptinMonster and Sleeknote, among others, that can augment the theme of your website. If you are starting a new business, then you probably know the importance of having a logo for your brand. Your company logo is the face of your brand and represents all that your brand stands for. It is a graphical representation of your brand which sets you apart from the thousands of other companies out there and gives you a unique identity. Your logo is the first thing that people notice when they see any communication related to your business such as your website, marketing materials, etc. and when anyone thinks about your business, your logo should be the first thing that comes to their minds. A well-designed, professional looking logo helps to build credibility for your brand and company. However, before you actually get down to the nitty-gritty of your company logo such as picking out the font, color, etc., the first thing is to determine the personality of your brand. It’s a very good idea to keep your logo very simple and make sure that it is not over-designed or too complex. 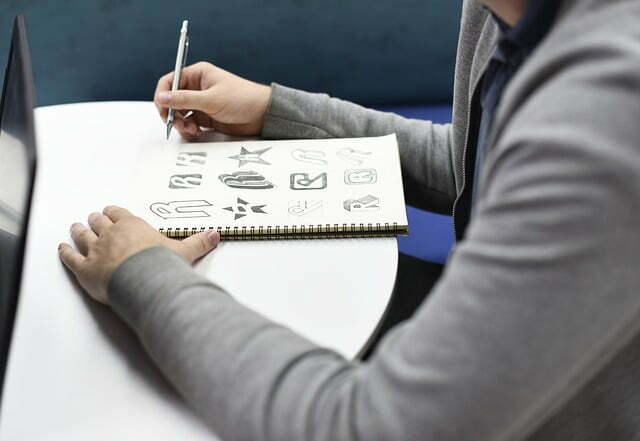 When it comes to logo design, always remember that “less is more.” Most well-designed logos usually have just a few words, a symbol or an icon with simple fonts and colors. Complex logos with complicated design, plenty of colors, graphics and text can be very difficult to recognize and remember. As we already mentioned, your logo is the representation of your brand and mirrors what your company is all about. So, a good logo should create a good lasting impression when you see it and it should be memorable so that people don’t forget it. When people see your logo on any kind of media be it digital, offline, etc., they should be able to associate it with your brand. 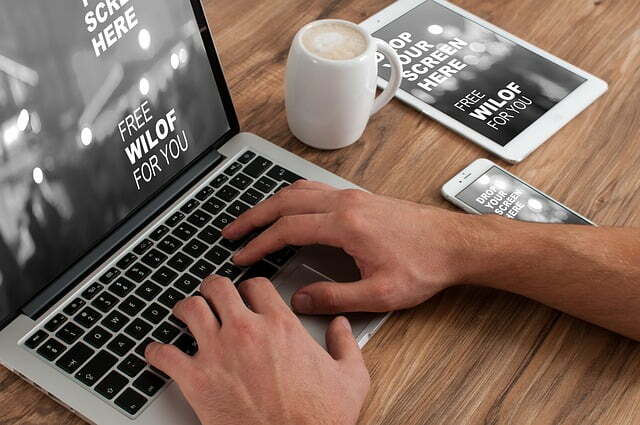 Your company’s logo should work effectively across several applications and media and look good in various sizes; it should also look good when reproduced in black and white too. Your logo should be appropriate for the audience you are targeting. For instance, a formal looking logo with a serious font may not do too well with kids, compared to one with bright colors and playful fonts. Your company logo should match what your business does. The logo of your business should be long-lasting and stand the test of time. While your logo should be trendy and current, make sure that your logo is “future proof” and will be relevant even years after you have designed it. Avoid using fonts and symbols that will look outdated in a few years’ time. It is also a good idea to evaluate your logo once in a few years and ensure that it is relevant or if it requires updating or redesigning. If you are just starting out, then hiring a design agency or a graphic designer to design your logo can be quite expensive. And, if you don’t really have the budget to hire a professional to create your business logo, today you have fantastic logo building tools available on the internet that give you access to thousands of graphics, fonts, colors, etc. that will enable you to create the most amazing logo for your business without spending megabucks for it. You can use a professional logo generator that can help you design the most amazing logo for your new business all by yourself. There are several options for online logo makers you can choose from like 99designs, SquareSpace, Canva, GraphicSprings, DesignHill, etc. Human beings react and consume things that are visual and when you’re setting up your business website, using images to tell your story is an effective way to grab the attention of the visitors to your website and keep them there. The important thing when setting up your business website is to understand your brand well and choose images that are relevant, attractive and lend credibility to your business. Use images that will make your website unique and stand apart from the scores of other websites out there. One way of adding images to your website is to use original photographs shot by you or a professional. However, if this is not the route you want to take, another option is to use stock photos. Typically, stock photos conjure up images of stilted, overused, common images that we have seen time and again. However, when used correctly, free stock photos can bring life to your website, blogs, posts or anything at all. 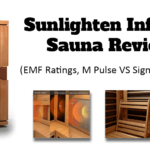 They are extremely cost effective and you can get them free of cost too. You can find high-quality images. Stock photographs can be more effective in terms of the engagement and reach compared to custom photographs. When used properly, stock photographs can prompt both positive, as well as negative emotions in your target audience. Making use of stock photos is a fantastic way to present your business. Stock images can help to make your business website attractive, appealing and can make your site stand out. Photos can be a major influencing factor that prompts your customers in their purchase decision or their decision to do business with you. There are many fantastic free and paid resources of stock photography on the internet. You can check out image libraries or collections such as Shutterstock, Creative Market, Haute Chocolate, Turquoise and Palm or consider sites like Pixabay, Unsplash, Pexels and Morguefile for free images. However, when you’re using stock images for your business website or blog you should know what you can or cannot do in terms of purchase or use of the stock photos. These are sold as per the pixel size i.e. small and large jpeg images to vectors which can be enlarged to large sizes. The larger the size of the image, the more expensive it is. This gives you the rights to use the image as you wish after you buy it from the copyright owner. This license is most common and also falls under the royalty-free image category. Most of the stock photographs that you will find on Wikipedia and many other sites are licensed under the Creative Commons License which allows the international and universal sharing of images as long as credit is attributed to the owner of the images. It is a good idea to keep in mind a few things while using stock photographs for your business website. One of the worst things to do when using stock photographs on your website is using images that are blurred or pixelated. This takes away from the credibility of your business and gives the reader the impression that you are not professional or do not really care about quality. Always buy high-resolution images which can be resized as per your requirement without any loss in the sharpness and quality. Images that are vibrant and sharp are not only appealing, they are eye-catching and can draw the attention of customers who may have ignored your site or missed it completely. Always ensure that you match the images you use on your business website to the content. This helps to reflect your thoughts behind your brand. Using exciting and new visuals with every new page or article will ensure that you draw and retain the interest of your audience and this can be visually stimulating too. Although you have thousands of stock images that you can pick and choose from on the internet, check out the licensing agreement of the images before you choose an image for your business website. Being available on Google or being posted online does not really mean that you can ignore the licensing agreement when using the stock photographs on your business website. 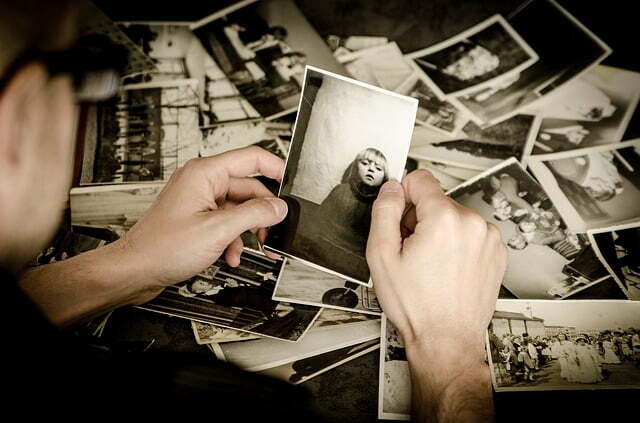 If you are not able to find a license, then it is better to avoid using the photo as the image may have a copyright. 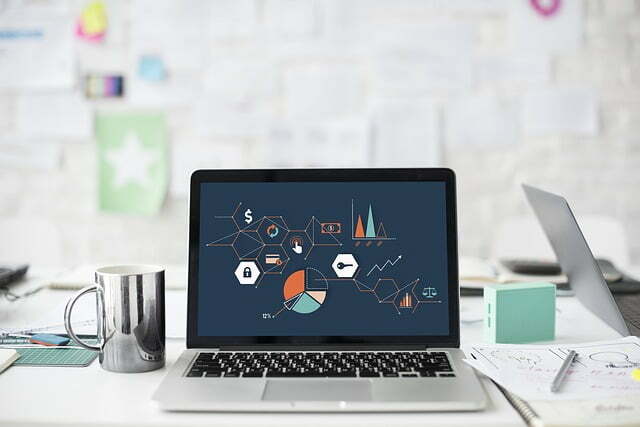 Setting up a website for your new business is not a difficult task, especially given the fact that there are so many tools available online, both free as well as paid, that can help you have your website up and running in no time at all.